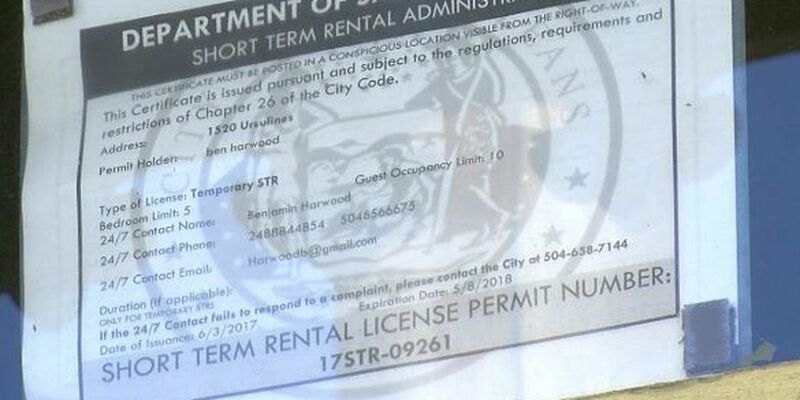 NEW ORLEANS (WVUE) - A few corporations and individuals are gobbling up chunks of New Orleans real estate to profit from the expanding short-term rental market. "We're talking about 10 individuals (or corporations) that have taken 568 homes off the market and have redirected them toward tourists," said Breonne Dedecker with the Jane Place Neighborhood Sustainability Initiative. "Every unit of housing that is removed from the long-term-residential market has an affect on the market around it." Dedecker and her group have fought against short-term rentals popping up throughout the city for more than a year. But while some worry the future of New Orleans landscape is at stake, not everyone is against short-term rentals taking over. "Why didn't you buy it?" Treme cafe owner Fatma Aydin argued. She welcomes the revitalization that short-term rentals have brought to her neighborhood. She estimates that 90 percent of her customers stay in STR. "If I don't do it, whoever wants to invest in it they will come by and do whatever they want with it. I don't know how we are going to stop this, and I certainly do not want this stopped," Aydin said. However, Dedecker believes short-term rentals are tearing away at the fabric of New Orleans neighborhoods. "Not making those neighborhoods accessible to residents but instead favoring to profit off of tourists, we have a really serious issue where we are creating a New Orleans without New Orleanians in it," she said. There is no limit to the number of STR permits an individual or company can receive from the city. Dedecker recently took to Twitter to point out two corporations, Stay Alfred and Sonder, have more than 100 STR permits in New Orleans each. Stay Alfred, which is based in Spokane, Washington has more than 30 permitted STR in The Maritime apartment building in the Central Business District. Neither Stay Alfred or The Maritime returned FOX 8's request for comment. "[The Maritime] has 106 apartments in it. As of last week, there were 61 permitted short-term rentals in the apartment building with another 21 permits pending, which means 82 out of 106 units are currently or about to be used as short-term rentals. That is 80 percent of a residential building basically being utilized as a hotel," Dedecker said. 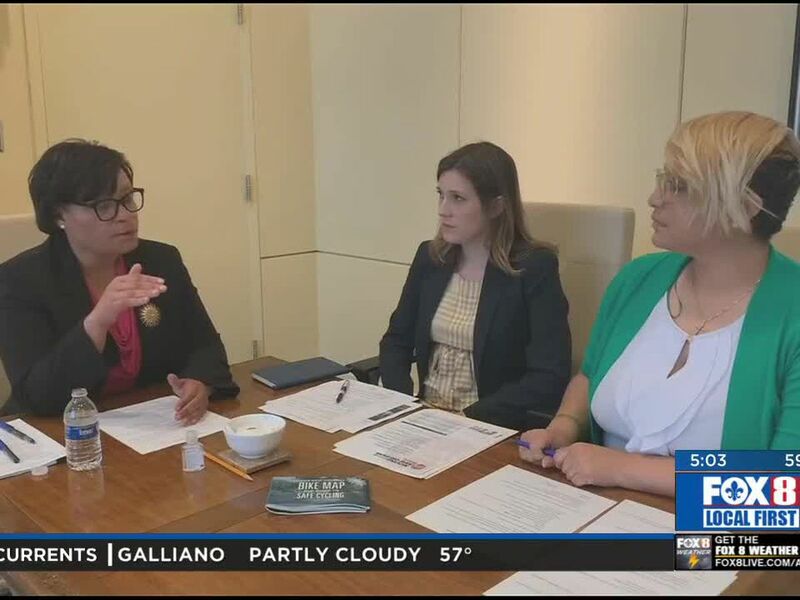 Mayor-Elect Latoya Cantrell recently pushed for more regulations concerning STR. "The mayor-elect does not support converting structures into virtual hotels via the STR process, especially when those structures can house our residents. She is currently working to strike the right balance on this issue so that the right regulations are in place that protect the cultural fabric of neighborhoods," Mayor-Elect Cantrell's Communications Director Mason Harrison stated in an emailed response. 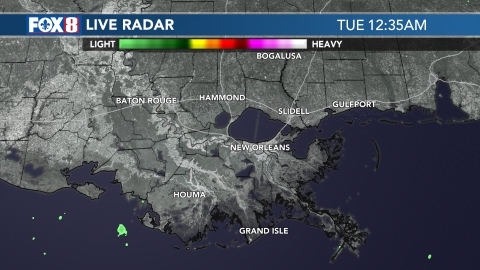 "According to data published by Zillow via the Zillow Rent Index, rents in these specific NOLA neighborhoods are not experiencing upward pressure from a demand surge. If STR operators were causing the affordable housing crises, then we would see the demand supply imbalance manifest itself in upward rent price trends...We have total control to mitigate safety, nuisance, and customer service issues. This means the quality for guests is extremely high, and communities are treated with the respect they deserve." "Exactly 72 percent of my owners have renovated or restored either an antiquated or formerly blighted property," Alliance for Neighborhood Prosperity's Eric Bay said. Bay manages more than two dozen permitted properties for the group. He said he is following all regulations set by the city and utilizing STR helps the homeowners make a profit off their property. "We pushed for these regulations," Bay said. "If they can't get $1800 or $2000 for a house and that's what they need to cover their expenses, an option for them is to get a permit or a license and put it on the vacation rental market." The Jane Place Neighborhood Sustainability Initiative will release its study on STR effect on neighborhoods at the end of the month. "The City of New Orleans is a model for other cities trying to limit, regulate and tax short term rental platforms. These laws were put into place so the City and our residents can benefit from the economic opportunities that exist, while also better controlling the impact of short term rentals on neighborhoods. Partnerships with the platforms are essential to make this work both from a tax collection and zoning and code enforcement perspective," Mayor Mitch Landrieu's communications office stated in an emailed response. The City of New Orleans received more than 7700 applications for STR since last March, and more than 4300 have been approved. Of those licenses, 2294 are temporary, 1217 are accessory, and 831 are commercial. The city has issued $266,175 in fines for short-term rental violations.